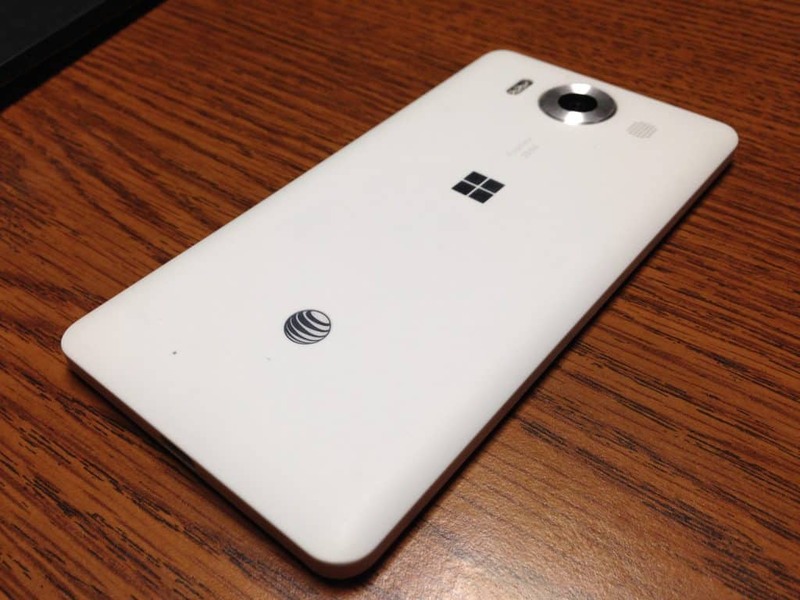 The Lumia 950 has been on the streets for a little under a week, and while some people have rushed to put out some arguably questionable ‘reviews’, we thought we would reward our patient readers with a more practical look at the Lumia 950 for AT&T. Disclaimer: This impression was done by longtime Windows Phone and Windows 10 Mobile user. Personally, thanks to Google’s reluctance to provide apps for Windows 10 Mobile, I do not use ancillary Google apps such as Google Maps, Gmail App, Google Hangouts or G+ in my daily use. The intent of this feature is to show the practical day to day use of the Lumia 950 rather than offer a blow for blow slugfest between the Lumia 950, the iPhone 6+, or any current Android flagships. 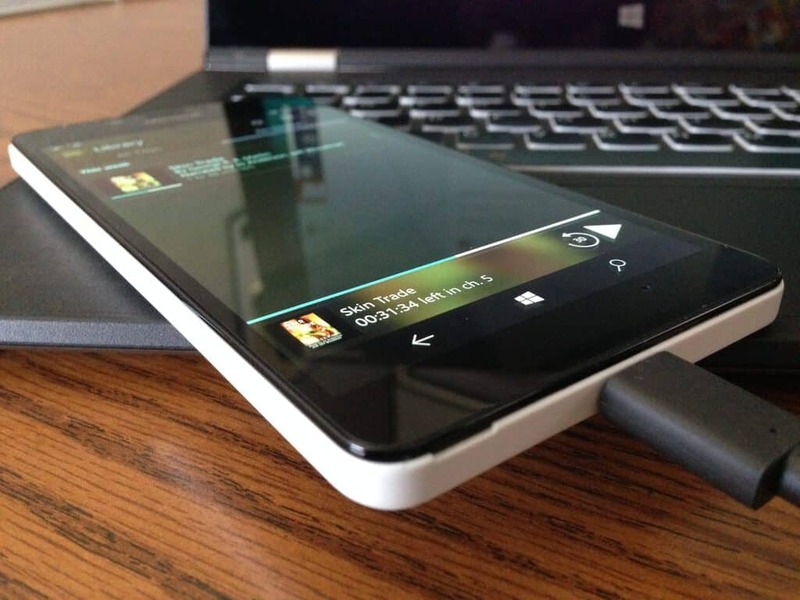 Echoing previous reviews and hands-on demonstrations of the Lumia 950, the device is lightweight. It can not be stated enough, how much of a weight difference there is between the Lumia 950 and other Windows Phone offerings, to-date. Rather than using the injected polycarbonate molding that created the much denser 920, 1020, and 1520, Microsoft opted for a controversial featherweight removable backing. Perhaps, it’s the removable polycarbonate back plate or the fact that I’ve been toting around a Lumia 1520 for two years, either way, the new weight differentiation has been a welcomed change. While the side buttons that control vital operations such as on/off, camera shutter and volume are not connected to the device, one would be hard press (pun intended) to tell otherwise. The travel, ‘clickability’ and finish of the buttons are just as good as previous Lumia offerings, and in some cases, better. Over on the back the device is where the dreaded carrier branding is located. Towards the bottom of the device resides what seems to be an aluminum sheet embossing of the AT&T logo. The same aluminum embossing is used for the Microsoft logo found in the center of the device. While the aluminum sheeting adds a visual flair to the device, it’s not hard to imagine months of pocket use could chip away at it, leaving some handsets with undesirable partial logos on the back. Fortunately, the logo areas are indented, removing the aluminum sheeting would result in a clear white/black logo indent instead, and that could appeal to some. Up towards the top-middle of the device is the ringed-aluminum housing for the 20MP camera, speaker grill, and triple-led flash module. The back of the handset is smooth to the touch, and owning the white version of the 950; I would be remised if I didn’t warn that heavily dyed pants (such as new jeans) could result in unwanted smudges on the handset. So far, I’ve been able to wipe most of the dye smudges away, but I still feel it should be mentioned. The top and bottom of the device both host holes for headphones and a USB Type-C charger. The only other break in the polycarbonate molded back plate is an intentional finger groove located near the USB Type-C port. The groove is placed there precisely to enable the user to pop off the back plate and access the battery, micro sd and sim card slots, all without tearing at the device like a wild animal or unnecessarily breaking nails against the cover. With the back plate being removable, there is a high chance of dust and other junk getting captured around exposed crevasse on the handset, when the back is off. Users should just keep in mind, wiping down the back before re-applying the cover could minimize the collection dust and gunk. While the white/black covering has received flack for its seemingly uninspired design, under the hood the Lumia 950 isn’t going to win any awards either. Black coated innards greet users with the same mechanical appeal as any other device. On the inside of the back cover rest the wireless charging plates that support both PMA and Qi technologies. Aside from financing options, dual wireless technology support is perhaps the only other upside for those looking to purchase the Lumia 950 through AT&T. As for the screen, it’s a black slab when it’s off, not much else to report. I have yet to drop this phone as I tend to be pretty self-aware of how I use my devices, so I’m not sure how it holds up to falls. There is a notable Microsoft typeface at the top of the handset and as a long-time Windows Phone user, I view it as more of loyalist badge rather than a distraction. However, for the truly minimalist, I can see how it might be a bit distracting. When the screen is on, the Lumia 950 comes to life. While many of the reviews thus far have honed in on the seemingly ‘boring’ design of the hardware for the Lumia 950, the reality of smartphone use lays underneath the screen. In videos, reviewers zoom in on curves and take sweeping angles to cover hardware ad nauseam with theater level cinematography. However, the reality is no matter how well-crafted *cough HTC cough* the device is, it’s what’s on the screen that matters to most. Using the Lumia 950 over the weekend in New York ended up being a great experience with a handful of head-scratching moments. Again, as an old Windows Phone user and as someone who has been using Windows 10 Mobile throughout its development, setting up the Lumia 950 was a painless experience. A few minutes of sorting through basic customizations, and a perhaps a 25-minute app setup session, my device was up and running as though the 950 had always been my primary device. 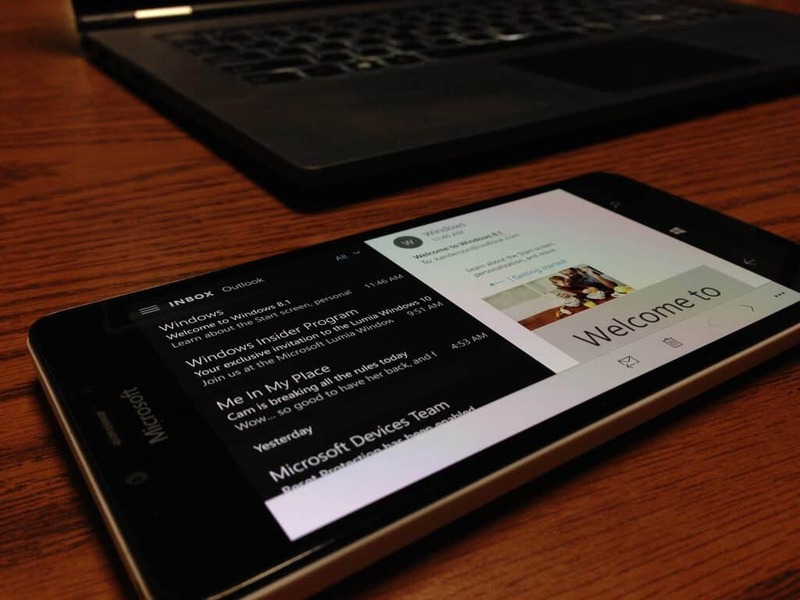 Switching from a Lumia 1520 to the 950 did take a few extra tweaks to make it feel like home. 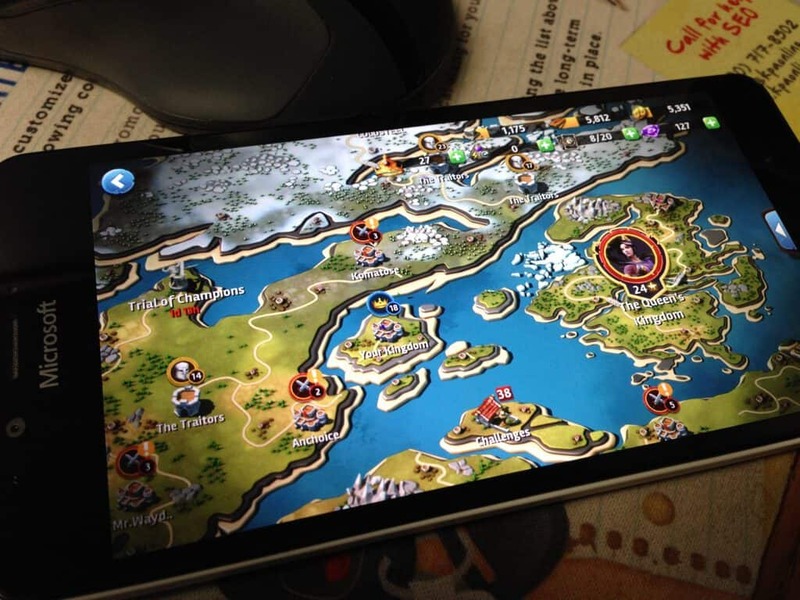 While the resolution on the 950 is slightly higher than the Lumia 1520, the text and OS elements were set to showcase on a smaller screen. Personally, I was a bit weary of going from my five tile notification Action Center layout and dense Start Screen to a four tile Action Center with an arguably less dense Start Screen. 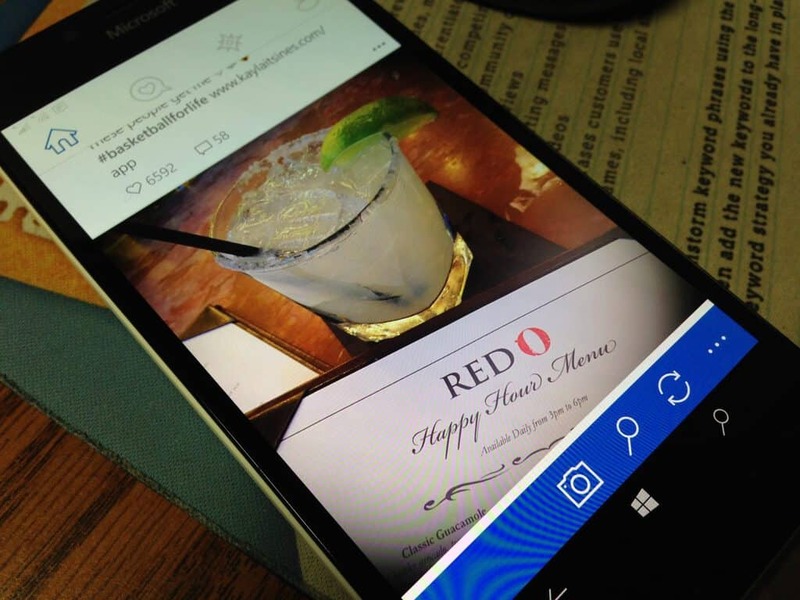 Fortunately, Windows 10 Mobile handles screen resolution similar to its desktop counterpart. With a quick settings adjustment, I was back to my densely welcoming Start Screen and Action Center. When applying Start Screen settings, I did run into the dreaded loading screen from some previous builds of Windows 10 Mobile Insider previews. While I thought those days were behind me, the loading screen was much briefer than it had been in the past and didn’t require a restart to resolve. Once past the Start Screen settings and layout, Windows 10 Mobile does an excellent job of retrieving my info from the cloud. Pictures, videos, emails, text messages, settings and achievements all come flying into the device at record speeds. That restoration speed does come at a price, though, my Lumia 950 got pretty hot downloading and reinstalling apps as well as retrieving OneDrive content. Unlike my Lumia 1520 where the heat positioned itself in the top left corner of the device, the heat seems to settle dead center of the Lumia 950, right under the Microsoft logo. The heat may also be an issue for some when using the USB Type-C connector to charge. During several charging session, my phone would become a handheld skillet for some time. After I had my device restored with the apps and settings configurations I had on my Lumia 1520, there was an explorative period, where I compared settings menus and options with that of Lumia 950 against my Lumia 1520 running the current build of Windows 10 Mobile. The Lumia 950 packs a robust set of additional settings that could help current Windows Phone holdouts eventually upgrade. 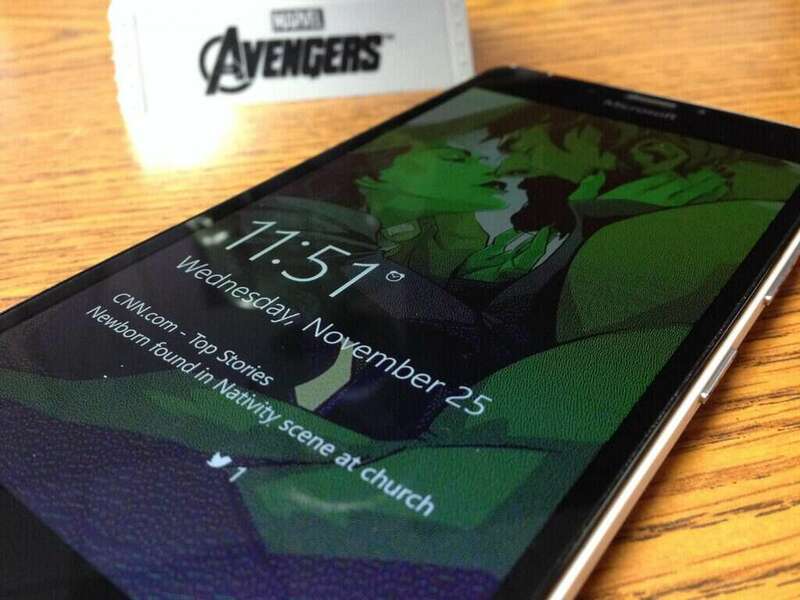 On the downside, some screen options have also been removed for lovers of the glance screen technology. For instance, double tap to wake is no longer an option found in the Touch Settings, and app details from apps such as the weather app can no longer display on the Glance Screen. However, some additions include app specific Bluetooth pairing. When connecting to a Bluetooth device, users can now choose which apps trigger Bluetooth connectivity automatically. Over the weekend, I paired my phone with a Bose Soundlink speaker and was given the option to add Groove Music, Spotify, or Nokia Mix Radio as apps that are associated with the speaker. 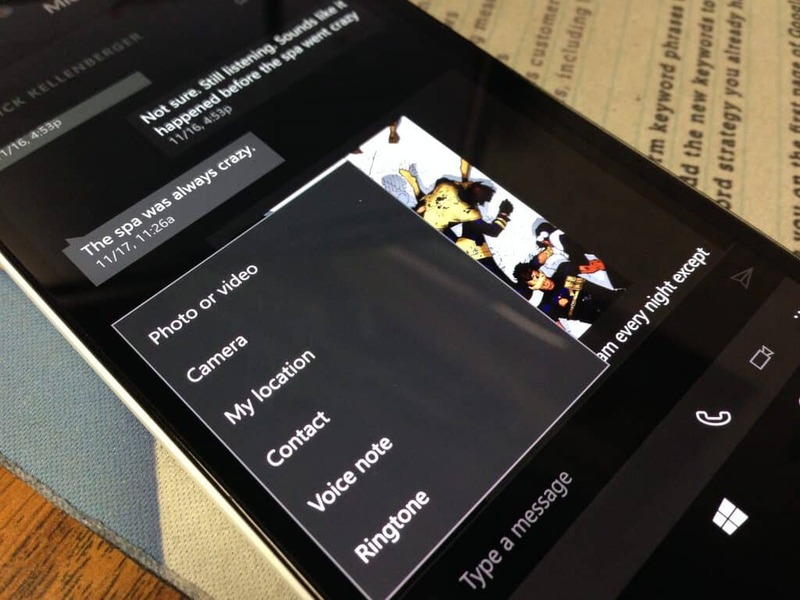 Users might also like the added call recorder settings in the phone app. The legality of recorded phone conversations is a murky state to state affair here in the US, but for those random arguments that need ‘historical clarification’, it comes as a welcomed addition. Another settings addition includes the Windows Hello sign-in options. Even though Windows Hello is in beta, it worked fairly well, when it worked. However, it was still too much of a hit and miss for me to use as a daily access method. When Windows Hello cannot identify you immediately, it asks for your pin code, the only problem is when the phone attempts to identify you every time something crosses the ambient light sensor. For a lot of my experience, the phone had to be placed face down otherwise it would attempt to identify me almost continuously. After my settings had been applied, it was time to jump further into the Windows 10 Mobile experience on the Lumia 950. As previously stated, I don’t use many Google services, and the lack of their presence may have been wasted on me. I use Outlook, OneDrive, Maps, Groove Music, Cortana, Office, regular phone calls and text messaging as well as a handful of news aggregators, games, and social media apps. For my use case, the Lumia 950 has been an excellent choice. Beginning with Outlook, the setup of multiple accounts was a breeze. While I don’t rely on the Gmail app like some reviewers, I do have a Gmail account for (honestly) junk mail. I also have a Yahoo account for fantasy football and (more) junk email. I primarily use my Outlook account, but merging all three into the Outlook app for Windows 10 has been a pleasure for me. I can quickly jump in and out of accounts, swipe to delete, archive or move emails and get to ‘inbox zero’ while on the train, which is what I did after leaving the store. When it came to messaging, Windows 10, Mobile would like users to move over to using Skype similar to how iPhone users use Facetime, but my reality is a bit different. My close net of friends only use Skype when we’re out of the country, as it serves as a low-cost alternative to US carrier billed texting. While blending Skype messaging and video into the messaging app is nice, conventional texting is still my majority use case, and the messaging app does that well. On the flip side, I still have a bit of contention with how finicky attaching a file can be in the messaging app. My personal experience has resulted in attempted attaching that led to the occasional crash of the messaging or photos apps. Perhaps, the communication between the two separate apps will improve over time. The messaging bug doesn’t happen often but when the experience does it was a bit puzzling at times and mildly annoying at worst. Moving on to other forms of communication, I maybe perhaps a bit old school but I still use Facebook, Instagram, and Twitter to do most of my self-expression to the world. Fortunately, even without being a seasoned Windows 10 Mobile user, both Facebook, and Twitter apps are easy to find in the app store. However, I am an experienced Windows 10 Mobile user, and I find the Facebook beta app works amazingly well compared to the current official Facebook app, 6tag also does a remarkable job of filling in for the featureless Instagram beta app with video editing and layout settings. Other 3rd party social media apps I use include, Tblog for my Tumblring, Readit for being angry on Reddit, and Telescope for keeping up on with my Periscoping friends and celebrities. When it comes to Twitter, I’m not a power user. Thus, the official Twitter app meets my needs for now. I am anxious for Twitter to bring over its Windows Universal app, as the PC version handles photos and GIFs much better. As for entertainment, the Lumia 950 has an excellent set of smartphone speakers. Please keep in mind, I specifically said smartphone speakers, because, at the end of the day, that’s all any of these similar devices offer. Even with HTC’s boom sound and front facing speakers, my use case of smartphone speakers has been the net result of sharing a two to three-minute-long YouTube, BuzzFeed, or Facebook video. On very rare occasions I have shared specific sections of a song from Spotify or Groove music, perhaps the necessity for clarity and bass from smartphone speakers is lost on me. For the Lumia 950, the speakers sound clearer than my wife’s iPhone 6 and my Lumia 1520, albeit, a bit quieter than the other two. A potential downside to the concert experience some users may be looking forward to from the Lumia 950, the speakers are located on the backside of the device and can be covered while holding the phone or when it’s placed face up. When watching YouTube content, I tend to use myTube or Perfect Tube due to their very modern design. While some users may opt to hold out for Google to bless Windows 10 Mobile with an official YouTube app, or prefer the browser layout of YouTube, there are a collection of great YouTube clients on the platform. With the clarity of the Lumia 950’s screen, watching movies and YouTube content has been a joy. As the keys to navigating the Lumia 950 are on-screen, swiping them away to utilize the most of the 5.2 inch when viewing videos on the screen is a nice addition. With regards to performance, I don’t run geek bench performances, because rarely does that apply to my use case. I can use some anecdotal gaming experience I’ve had with the device, but I feel it’s more up to developer optimization than it is to how well the Lumia 950 handles the RAM. For instance, I been playing Lara Croft: Relic Run a lot, and often the game gets choppy, on the flip side, the asset dense Siegefall blazes during gameplay. TheLumia 950 runs only slightly better than my Lumia 1520 with the most recent Windows 10 Mobile Insider build on it. I prefer to think it’s a testament to software optimization rather than specs, yet it must be noted, the Lumia 1520 does pack more RAM than most Windows Phones at 2 GB. As for battery life with regards to performance, mine has been less than stellar thus far. I may have a defective unit, but my Lumia 950 seems to bleed battery throughout random times of the day. On the other hand, a colleague of mine has had quite the opposite experience, citing excellent battery life after first-day use. The inconsistency of incidents similar to mine has given me pause to call out battery life as a general negative, with some reviewers getting adequate to excellent battery life from their devices. As it stands now, my Lumia 950 can lose up to 20% of battery with minimal use within an hour. Even after a hard reset, the battery tends to be used rather quickly on my Lumia 950. I’ll update with further use. With 3GB of RAM on the Lumia 950 and the final customized version of Windows 10 Mobile, certain aspects of the operating system did fly compared to my experience with the Lumia 1520. Specifically, the photos app and camera. Taking pictures was unexpectedly quick, and recognition from the photos apps was just as snappy. On my Lumia 1520, it took some time for a photo I had just taken or saved to appear in the photos app, on the Lumia 950, photos appear in the app as they should. Unfortunately, the after image processing does hit some speed bumps and slows down the photo experience at times. 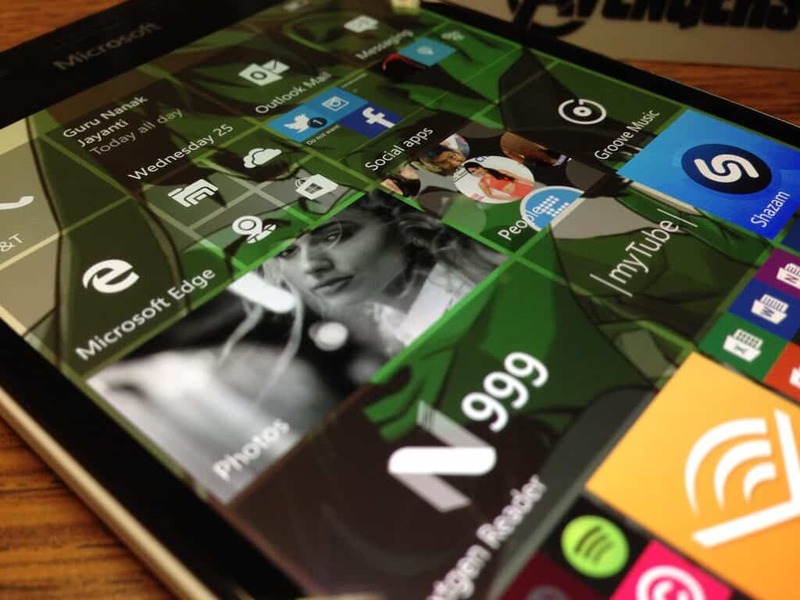 Windows 10 Mobile Insiders have complained in the past about the notorious ‘resuming’ screen, and now we may start to see a new crop of complaints on the “adding finishing touches’ screen. With that being said, the camera experience on the Lumia 950 overall is a delight, and images come out amazing. The addition of slow-mo and new cropping features also give photo-fanatics even more to play with on the Lumia 950 and other Windows 10 Mobile devices. 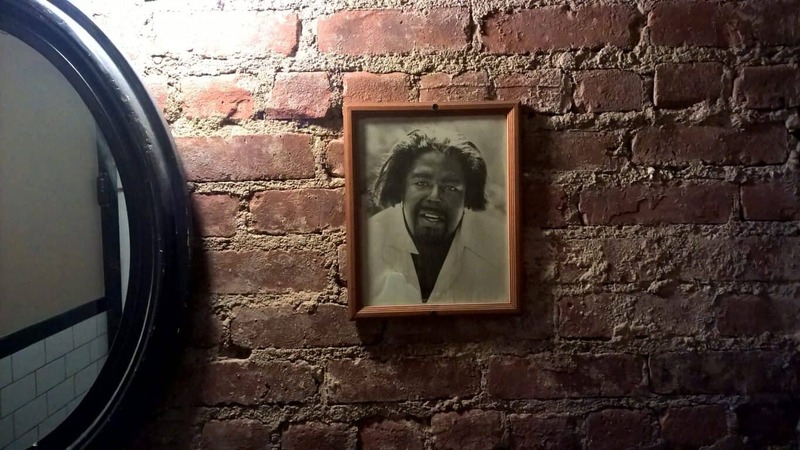 While in New York, I found myself in a lot of bars, and while most reviewers are taking floral arrangement photos during mid-day, I found myself face to face with Barry White in a low lit bathroom. To wrap up, I believe the Lumia 950 is exactly what Microsoft intended it to be, a device for fans of Windows 10 Mobile. 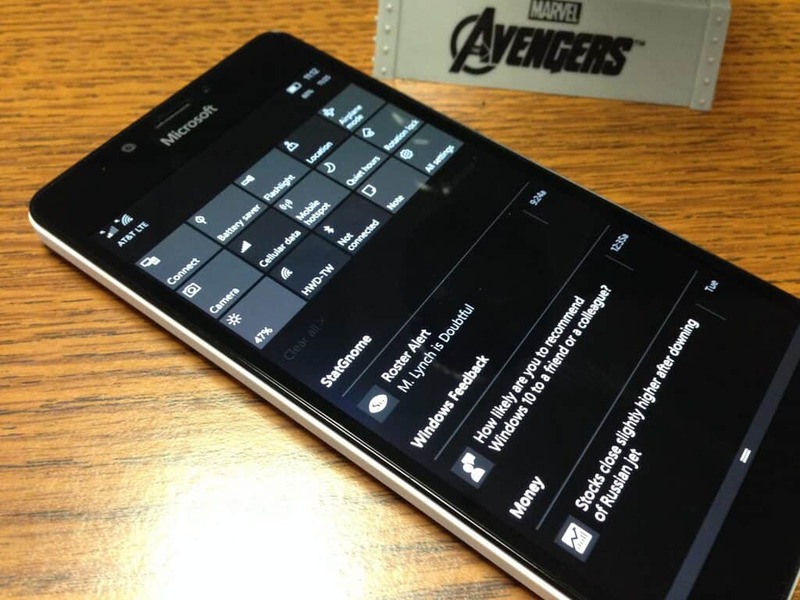 The Lumia 950 may not be for every fan of previous Windows Phone versions, it may not convert iOS users, nor will it probably quench the appetite of most Android users on Google crutches, but it does excel at showcasing Windows 10 Mobile. Similar to Microsoft’s current strategy with Windows, Windows 10 Mobile will work well enough on current and old devices but arguably shines on its newest offerings, incorporating Windows Hello hardware, up to date processors and apps specifically designed for the OS; the Lumia 950 is this year’s Surface Pro 4 for phones. The Lumia 950 may not be a jaw-dropping phone, but it’s a welcomed addition that continues to build on a solid foundation. How has your experience been with the Lumia 950 thus far?